Mardi Gras - Cajun Cook-Off at Soulard Market Park. The Cajun Cook-Off will feature Cajun cooking from the best chefs in St. Louis. Enjoy complimentary Cajun dishes, see Cajun food demos, meet the city's master chefs, dance to the Cajun sounds and more. Event takes place in the Bud Light Party Centre in Soulard Market Park. See website to purchase advance tickets, $40; or at the door, $50. See website for more information on this event and ALL the other Mardi Gras festivities! 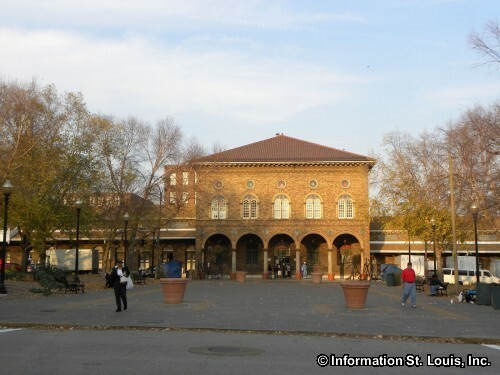 Soulard Market Park is a large 2 acre green space located to the south of Soulard Farmers Market. It features a playground, a bandstand, a plaza and is used for many events such as cultural events, art fairs, recreation and Mardi Gras events. Directions: Located adjacent to the Soulard Farmers Market, at the corner of 7th Street and Lafayette Avenue, in St. Louis, Missouri.